Close to Wellington's harbour and central business district, Roseneath is a fantastic suburb to visit during your trip to Wellington. Situated on the North-Eastern slope of one of Wellington’s most iconic landmarks; Mount Victoria, Roseneath is comprised of tree lined winding streets and a mix of traditional wooden Kiwi homes and more modern, architecturally designed houses. Just a five minute drive or half hour walk into the centre of the city, the suburb is a safe, quiet and relaxing place to stay. Surrounded by greenery and dotted with public green spaces, Roseneath is a family neighbourhood that also offers a range of boutique bed and breakfast accomodation for visitors to the area. With beautiful views of Wellington harbour, the Miramar peninsula and Matiu Island, a leisurely stroll around our quiet neighbourhood is a must during your visit to Wellington. Once you've finished exploring all that we have on offer it's an easy walk down to beautiful Oriental Bay. Here you can relax on the sandy beach, dip your toes in the ocean and grab a delicious meal, ice cream, or some of Wellington's finest coffee. If you’re keen to stretch your legs, then the half hour walk from the city or Oriental Parade will offer up an array of stunning views and give you time to really appreciate our suburbs homes and gardens. An interesting house, or precariously balanced access cable car, offers something to see around every corner, and you won't be disappointed by the beautiful views on offer throughout the walk. If you’d prefer to save your energy, then just hop on a local number 20 bus bound for Mount Victoria or number 14 bus bound for Rongotai or Kilbirnie which will drop you in the area in approximately 10 minutes. You can plan your journey and find local bus times here. Rising 196m above the city, the Mount Victoria Lookout is a must-do in Wellington. Located on the border of Roseneath and the suburb of Mount Victoria, the lookout provides stunning panoramic views of Wellington city and harbour, and beyond. From the top, you can enjoy the views of Tinakori Hill, the Hutt Valley and Eastern harbour bays, Matiu/Somes Island and the Miramar Peninsula. Beyond are Baring and Pencarrow Heads and further to the right, Wellington’s Southern suburbs and Mt Mathews, Wellington’s highest point to the East. There's no shops at the lookout, so take a picnic with you, settle in on the hillside and relax while watching ferries and cruise ships sail into the harbour and planes fly in and out of the airport. This is also one of the best spots in the city for taking in a sunrise or sunset. Once you're done, you can either walk back to the city through Roseneath, or wander down through our peaceful Town Belt. You can download a map of the Town Belt here. Whilst you’re in the area, be sure to visit our beautiful wooden parish; St Barnabas Church which has been a centre of the community since 1899. You can find out more about services here, or pop in to look at our intricate stained glass windows anytime. 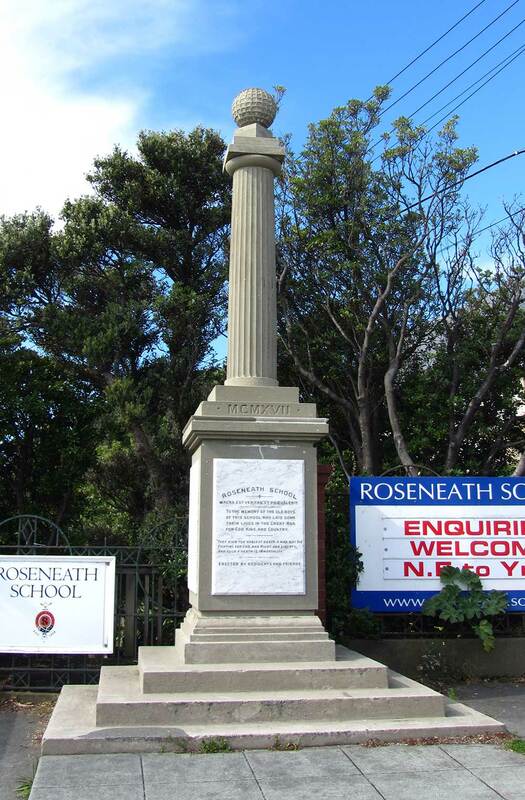 One of only two street memorials in suburban Wellington, the Roseneath War Memorial was unveiled on 10 November, 1917. Situated between Roseneath School and St Barnabas Church, the memorial is inscribed with the names of Roseneath School old boys who died during World War I. Set beside Maida Vale Road the memorial can be viewed free of charge year round. A special commemoration service jointly led by the school and the church is held at the memorial annually on ANZAC day. If you would like to attend this years free service then look out for more details on our News and Events page. Just a short walk from the Roseneath War Memorial, is Point Jerningham, New Zealand’s only permanent saluting battery. Located on the headland of the northern most tip of Roseneath, the battery is made up of four modified 25 pounder guns. The battery is used for five pre-planned salutes each year, marking occasions related to the Royal Family, and has also fired salutes in support of state welcomes, official welcomes and ceremonies conducted at Parliament Buildings and salutes to visiting warships. When it's not in use, the saluting battery is a great place to sit and enjoy the panoramic views of Sommes Island and the Miramar Peninsular. To access, simply head through the school ground and follow the signs for the public footpath. As part of the 100 year commemoration of the start of World War 1, Wellington City Council unveiled a series of informative memorial street signs. Located on a variety of streets around Wellington; including Robieson Street in Roseneath, the signs reveal the origins the streets name, and how they link to World War I. You can find out more about the locations of these streets on Wellington City Councils interactive Memorial Street Sign Story Map. Bringing your kids with you? Why not visit The Crescent Play Area or Hepara Play Area, to keep them happy? There's also a whole range of outdoor climbing activities for children and adults alike near along Alexander Road near Mount Victoria Lookout. 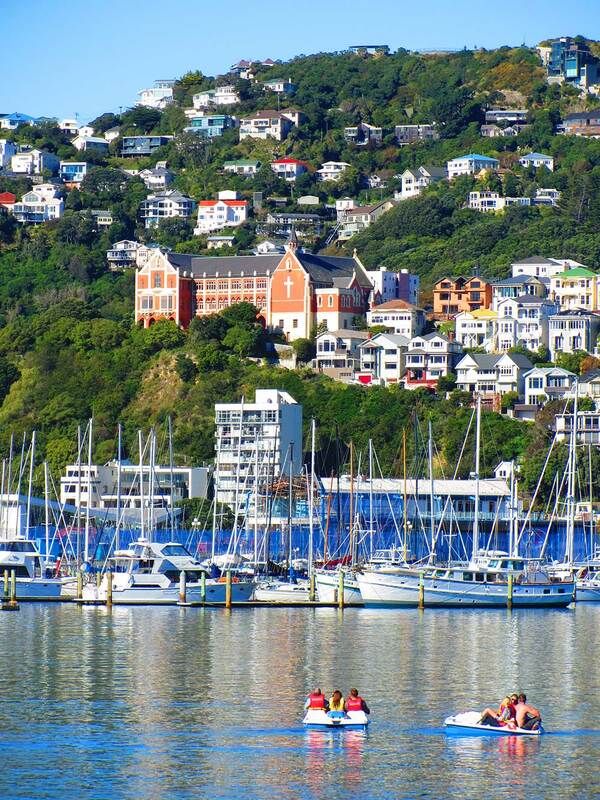 Running alongside Roseneath for a time, Wellington's Southern Walkway is popular with locals and tourists alike. Offering a variety of scenery, from views of the harbour and central city at Oriental Bay and Mount Victoria, the shade and tranquillity of the Town Belt forest, to the rugged and exposed Southern coastline between Houghton and Island Bays, the 11km walkway is suitable for people of moderate fitness. If you're planning on completing this walk, then why not take a slight detour and enjoy what Roseneath's got on offer too. If you're looking for accomodation that's peaceful and offers beautiful views of Wellington, then look no further than Roseneath. Offering easy access to the city and just a 15 minute drive to the airport, Roseneath is a fantastic place to stay during your time in the capital.